Jamila Williams-Stevenson and Loretta Coburn have been accused of orchestrating an identity theft ring using patient data obtained from Yale-New Haven Hospital. According to federal investigators, several patients of the hospital have had their identities stolen, although in total, more than 20 individuals have been targeted. Williams-Stevenson has been accused of using her position at the hospital as a companion/sitter to steal patient data. Once Social security numbers of patients had been obtained, the pair allegedly changed the victims’ addresses and started applying for credit cards in the victims’ names. The identity theft scheme allegedly spanned two years. Williams-Stevenson has been charged with Bank Fraud and Aggravated Identity Theft, while Coburn has been charged with Conspiracy to Commit Bank Fraud. 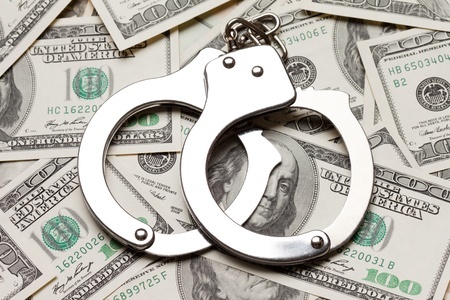 Manhattan District Attorney Cyrus R. Vance, Jr. has announced that Krystle Steed, a former employee of New York’s Lenox Hill Hospital, plead guilty to using patient information to commit fraud. Between January 2014 and February 2015, Steed used information stolen from more than 80 emergency room patients and took control of their bank accounts. She also obtained goods from luxury retailers such as Saks Fifth Avenue using the victims’ credit accounts. Steed allegedly purchased more than $300,000 worth of goods and attempted to obtain goods worth a further $1 million. Steed used patient data that were stolen by her husband Kyle Steed, who was also employed at Lenox Hill Hospital. Kyle Steed was convicted of Attempted Grand Larceny in the First Degree earlier this year. Krystle Steed has pleaded guilty to Grand Larceny in the Second Degree, Identity Theft in the First Degree, and Criminal Possession of Stolen Property in the Fourth Degree and will be sentenced on October 13, 2016.